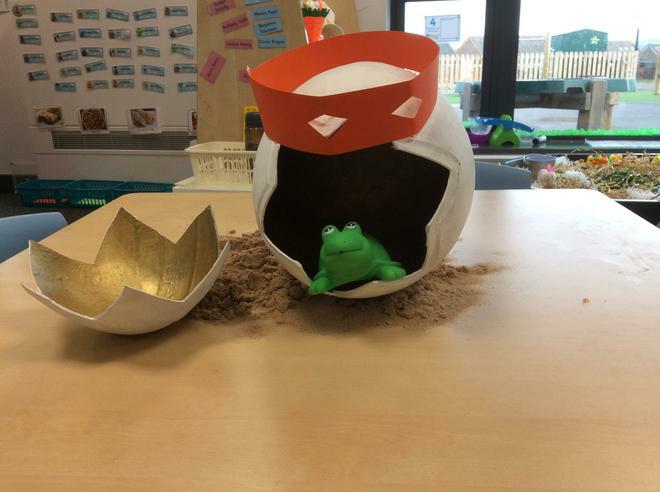 Two mysterious eggs turned up in Reception this week. 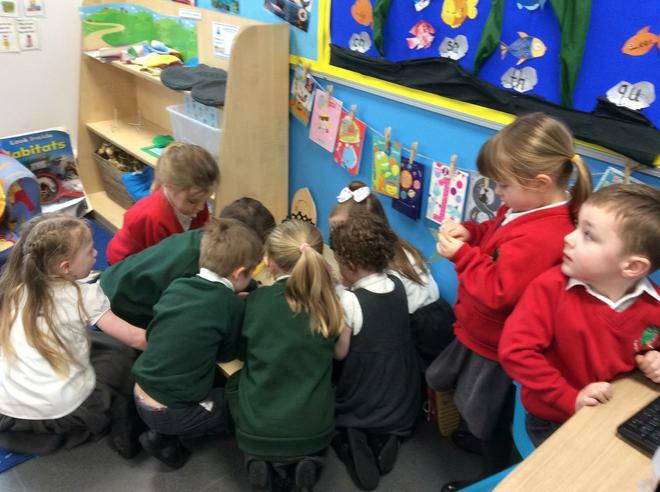 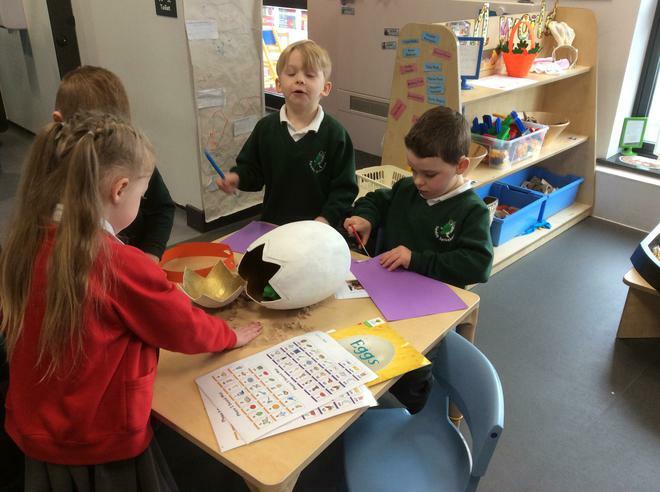 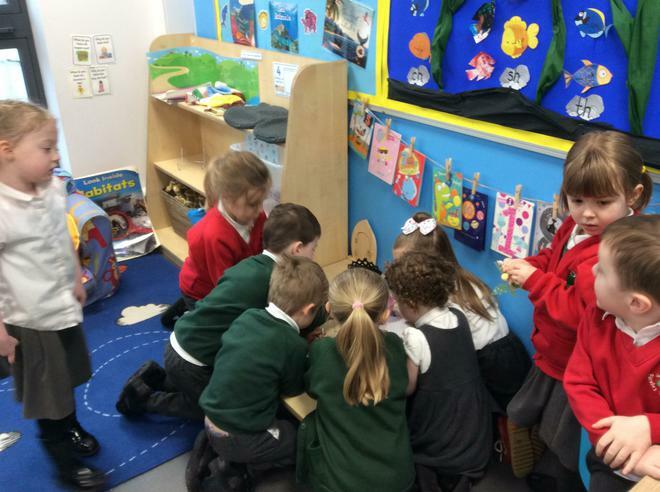 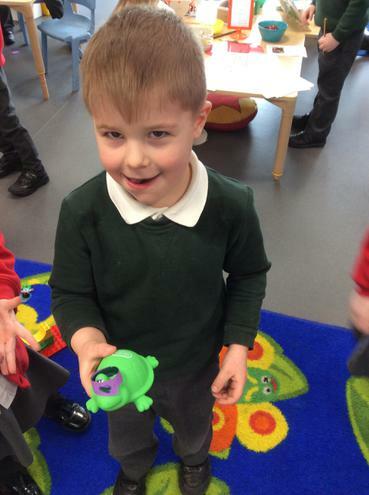 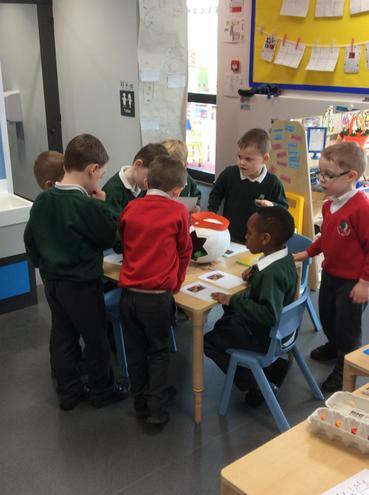 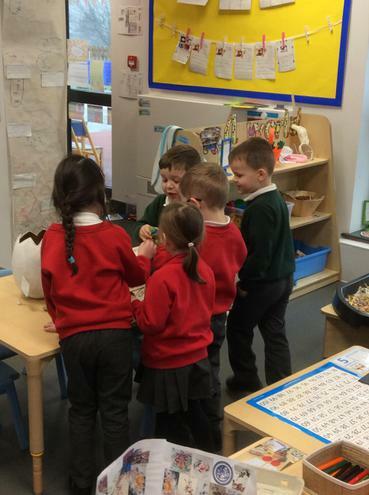 The children had great fun guessing what might hatch out of them. 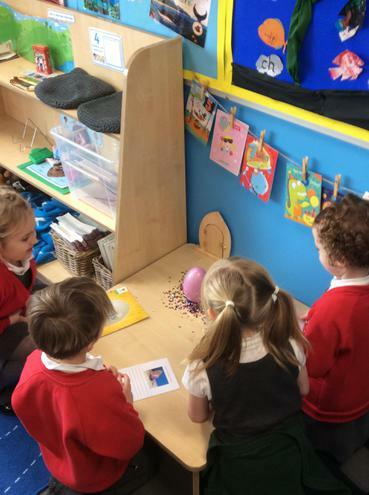 After some investigation work they decided that one was going to hatch a Teenage Mutant Ninja Turtle and the other was going to hatch either a unicorn or a fairy. 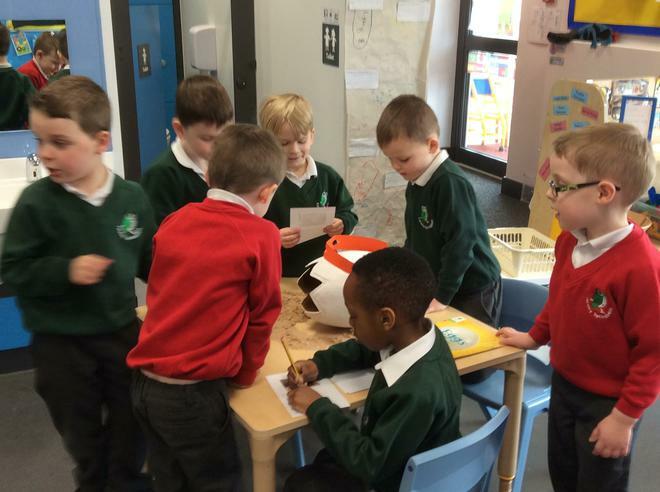 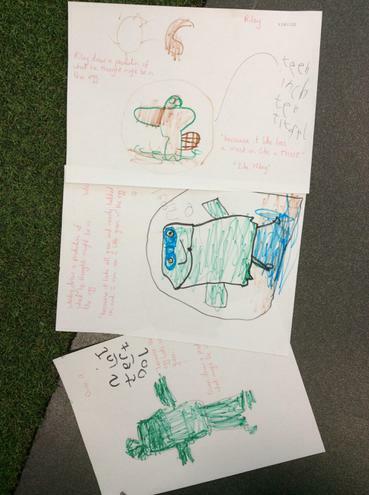 The big egg had a turtle inside who wrote the class a letter asking them to teach him how to become a Ninja so that he could join his superhero brothers. 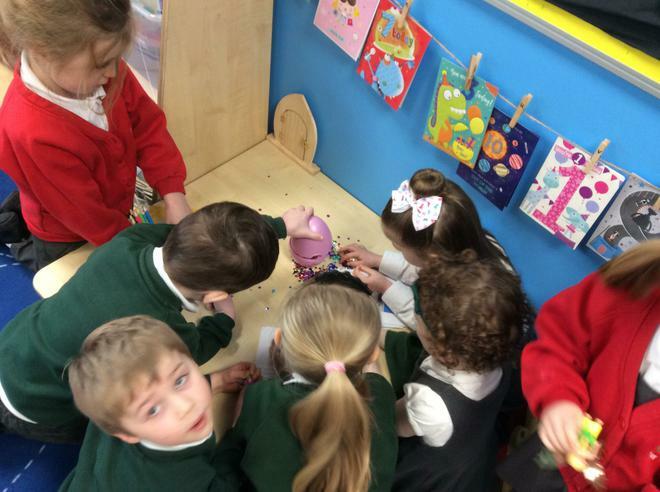 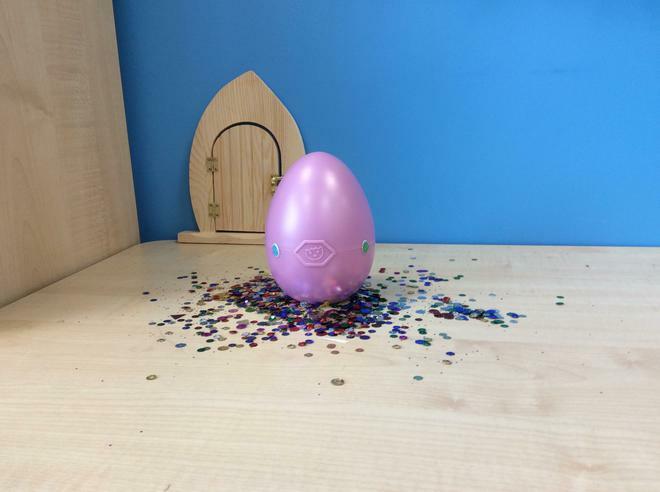 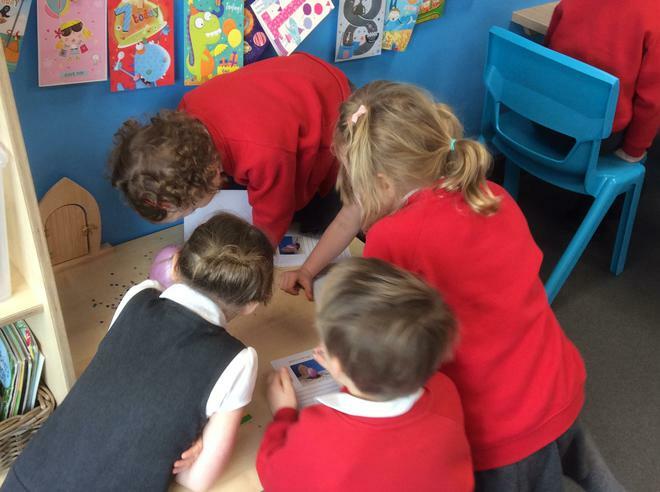 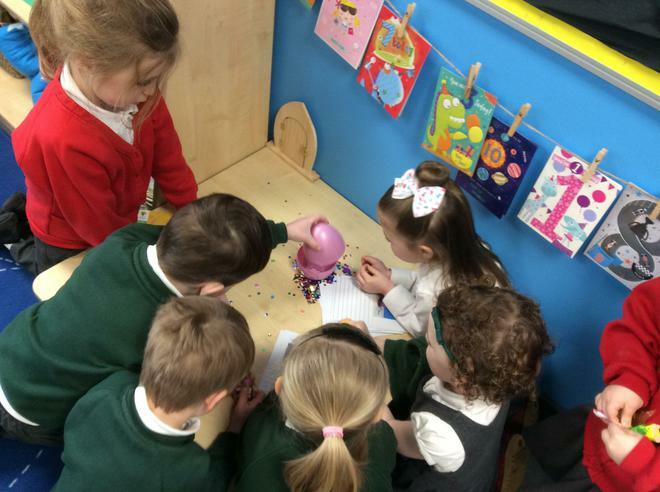 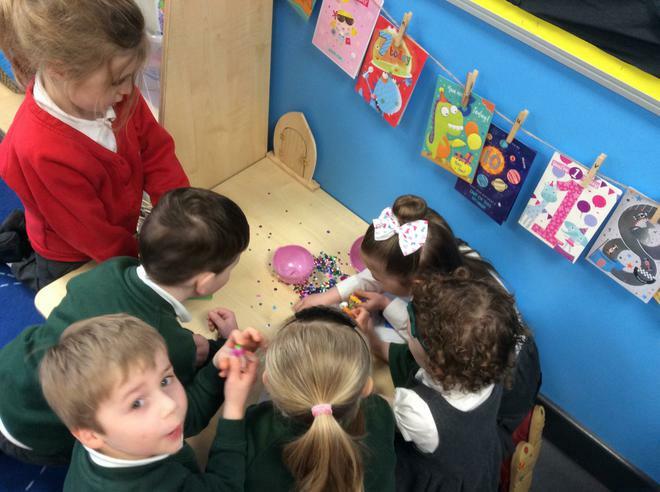 The pink egg contained two fairies which the children thoroughly enjoyed playing with. 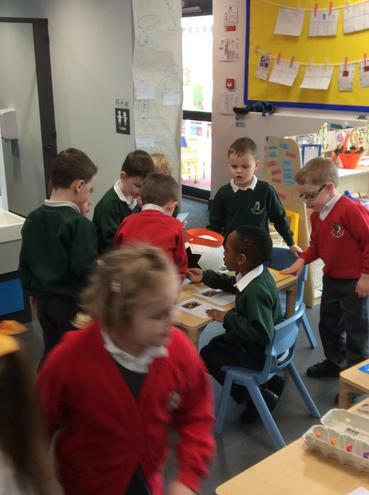 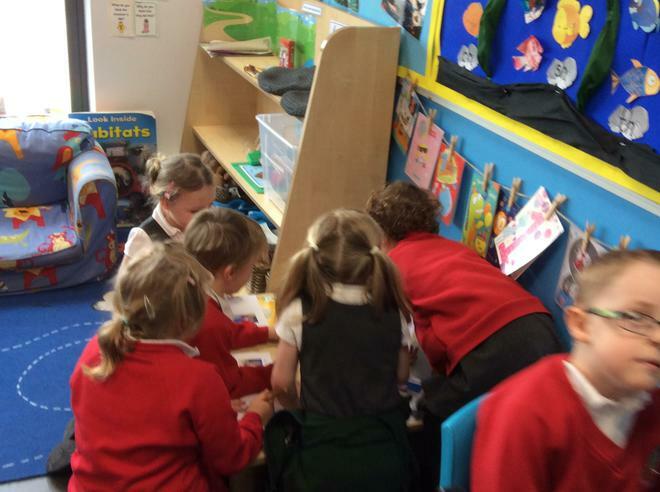 The children were extremely busy today using the construction equipment to build castles and caves. 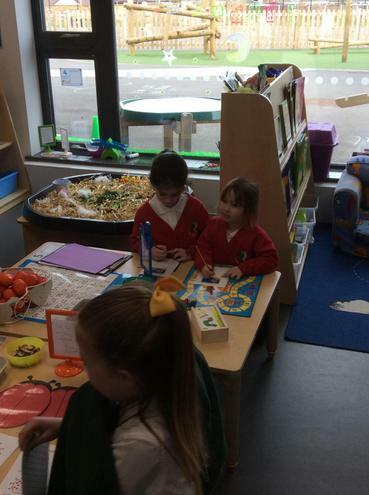 They were also busy in the creative area making masks and swords.